Grand Cayman, the largest of the Cayman Islands, is well known for three major things: sunshine, beaches, and laid-back island life. 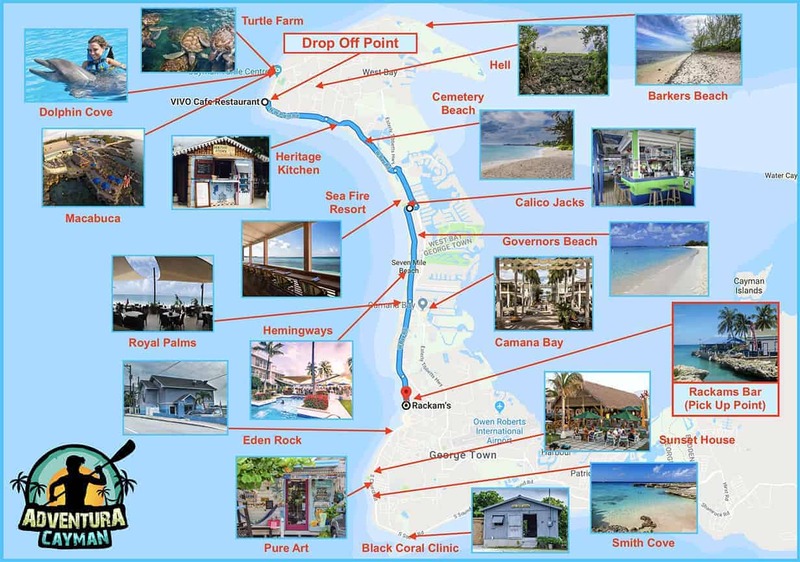 If you have been dreaming to visit this famous Caribbean destination, you will be pleased to find the five major activities that will make your travels to Grand Cayman an unforgettable experience. Hell is a geological wonder made up of spiky black limestone that has formed incredible rock formations the size of a soccer field, which have been in existence for more than one million years. This is a must see for all nature lovers! Walking through the formations might be impossible, but there is a viewing platform with devil’s wooden cut out where tourists can admire the unusual beauty of nature and stop to take pictures. A trip to hell is sure to be a unique experience that you will rarely find in any other place. This beach stretches for seven miles along Stingray City, Grand Cayman’s western coast. At this perfect sand stretch, you will find palm trees along the shore, turquoise water, and areas to snorkel among colorful fish and coral reefs. This is also a perfect spot to soak up the sunshine as you relax. At the entrance to the beach, there are hordes of cruise ships and Cayman Island private boats, but after walking a little further, you will discover that there is an abundance of space for you to enjoy the sand without any disturbance. The rum cake recipe stems from the old family generations. It is freshly baked in the Stingray City Cayman Islands. All the cakes are hand glazed with a specific Tortuga Gold Rum blend. The cakes are then vacuum-sealed in order to lock the iconic flavor inside. At the store, you will find various products including the assorted rum cakes, sauces, specialty coffee blends and chocolates. There are also free delicious rum cake samples for the visitors! This is a delicious part of Grand Cayman that you will not want to miss! Most of the properties on Stingray City, Grand Cayman, especially those along the coastline, are recent developments with large hotel chains, modern homes, and condos. However, you will also find traditional structures that were constructed many years ago. Most of these traditional cottages are painted in pastel hues of green, pink and turquoise. They usually come with a white picket fence, a gabled roof, and a large porch. At the front of these homes are gorgeous sandy gardens full of palm trees and teeming with intricate shells form the ocean. They are quite the exquisite site to see! 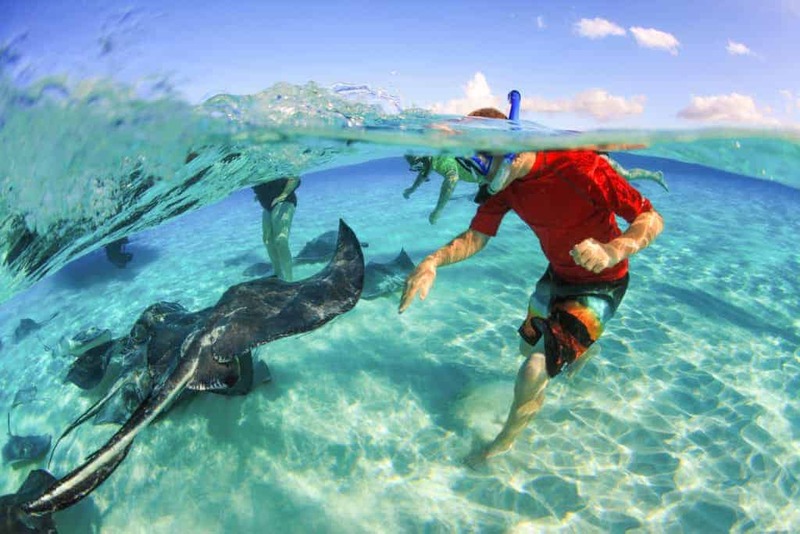 A trip to Grand Cayman, Stingray City will be incomplete if you do not explore the seas. You can take a tour using Cayman Islands private boats or you also can go scuba diving or snorkelling. The waters around Stingray City, Cayman Islands have been rated among the best diving sites in the Caribbean and the whole world at large for quite some time! Grand Cayman, Stingray City is surrounded by beautiful coral reef systems and offers unlimited underwater worlds for you to explore. Mighty caverns, sunken shipwrecks, crevices, steep underwater walls, and grottos make the place a haven for divers who want to see animals such as turtles, stingrays, and tropical fish that display a large array of different colors. Stingray city is among the most popular Grand Cayman water activities. There are various shallow sandbars where tourists can interact with wild stingrays. Many Grand Cayman private boat and tour companies gather in large numbers at the Stingray City every day due to its popularity.